archos cobalt grand x3 gx8 huawei lenovo mediatek snapdragon ZTE Day 2 CES2016 -Recap of all the Android goodness! Day 2 CES2016 -Recap of all the Android goodness! Archos is coming out with some interesting mid range devices like many of the other manufacturers and they are poised to make some noise.Pushing out a couple of Power and Cobalt devices Archos is trying to get themselves noticed. At the top of their game we have the Archos 55 Cobalt+ which is features 2GB of ram, a MEDIATEK quad-core processor, a 5.5 IPS HD display and a whooping 2,700 mAh battery. Slightly low on the storage with 16GB, but the added benefits of a microSD slot. Price point we're looking at $169 USD. It's followed by a lower end version of it's big brother with the Archos 55 Cobalt which will feature almost the same specification, but it will come with 1GB of ram, smaller sized screen at 5 inch and different MEDIATEK processor clocked at 1.0GHz. Price point we're looking at $110 USD. The Archos 50 Power comes at about $140 USD, but it does offer more power than the Archos 55 Cobalt. It has a massive 4,000 mAh, 2GB of RAM, but only offers 16GB of storage. The design feels more premium and it's coming it with a MEDIATEK quad-core are more than enough to make heads turn. There's a caveat, you'll only be able to get a max of 3G with this device. Huawei brought some attention to themselves with the Nexus 6P and they hope to keep this trend going. This time around they have the GX8 for us! This uni-body metal design has an ergonomic body that makes it a beauty in your hand. This devices features a nice 5.5 inch display with a fingerprint sensor. We all know that the craze is the fingerprint sensor, many devices have them, but not all of them are capable of getting high success rate. Huawei boasts 94% accuracy at unlocking the device on first try. The GX8 comes pre-loaded with Android 5.1, it sports 2GB of RAM and only 16GB of storage. If the storage puts you off, you'll be glad to know that it also comes with a microSD slot. We are looking at 1.5 Octa-Core snapdragon 615 in this beast. Coming at $349,99 this devices aims to take on the likes of the OnePlus 2. You may know of Lenovo for it's PC line of devices, but you may not know of them when it comes to smartphone. Lenovo wants to present you with the Vibe S1 Lite for the lovers of selfies. This little beast of a device has a superior 5-inch full HD IPS display, a 2,700 mAh battery is sure to provide enough juice for the camera crazies. You'll be greeted with an 8 megapixel secondary snapper with a 5-piece lens for "zero distortion" with this sensor from Sony. The rear facing camera is no doubt better for your general all purpose photography coming in with a 13 megapixel sensor with dual LED flash. You'll be glad to know that you can find 2GB of RAM, 16GB of storage with expandable storage. It will support LTE and provide dual SIM capability. This recap wouldn't be complete without taking a look at ZTE releases with the Grand X3 and the Avid Plus. These devices aren't powerhouses, but are sure to make a mark with the low-mid range market of users. The Grand X3 comes with a premium look at an affordable cost for the consumers at just about $130. The handset offers 5.5 inch 720p display, comes packed with a Snapdragon 210, 2GB of RAM, an 8 megapixel rear camera and 2 megapixel front facing. As in most midrange the storage comes at 16GB with the option of a microSD slot. You'll be interested to know that it comes with USB type C and a nice 3,000 mAh battery with quick charge support and dolby audio. The Avid Plus is the lower end of the two. This one features a nice 5 inch FWVGA display while on packing 1GB of RAM and 8GB worth of storage. It may seem like this one will sell itself short. We will be able to expand the storage via microSD slot. The camera is nothing compared to some of the other choices on the market; coming in with a 5 megapixel rear facing camera and 2 megapixel front facing camera this is nothing to scream. It will run a Snapdragon 210 processor and sports 2,300 mAh battery. 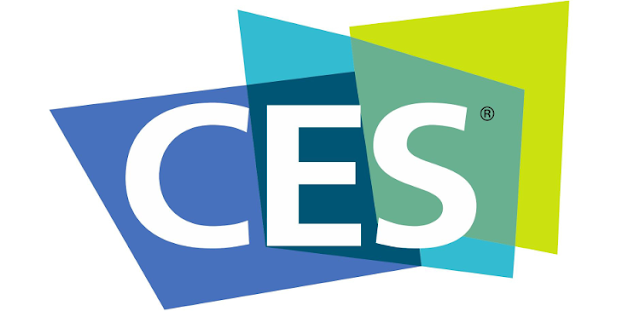 This is only day 2 of CES2016 and we've been shown many new devices which are to hit the low-mid range market. This is especially good since we have a lot of variation in the world.